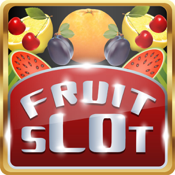 Fruits Slots Machine - free unlimited play. 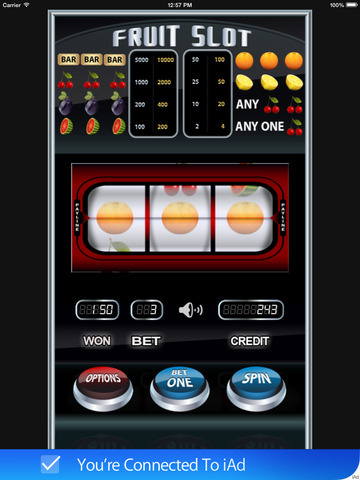 Fruit machines with traditional fruit images on the spinning reels, such as lemons and cherries. 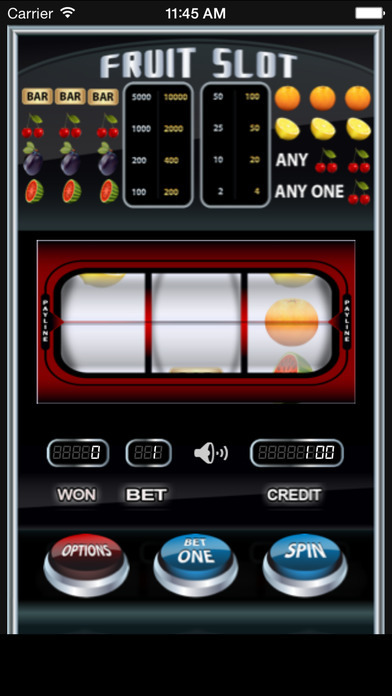 Play up to three coins and hit three bars to win 3000.